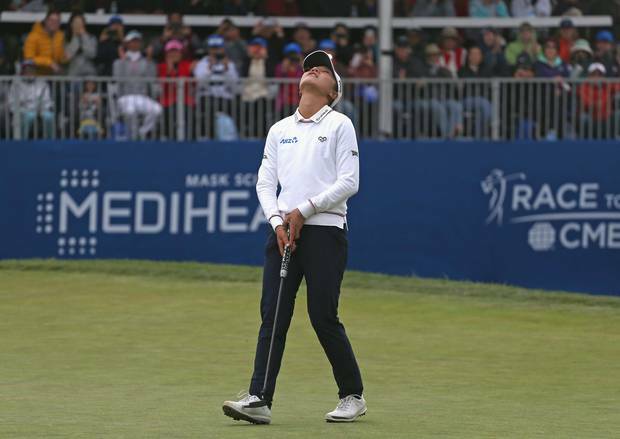 A punter has reeled in a whopping $260,000 payday following Lydia Ko's victory at the Mediheal Championship in San Francisco. The Kiwi golfer is back in the winner's circle, nearly two years after her last victory on the LPGA tour, much to the delight of a TAB customer, who wagered $10,000 that Ko would win the tournament at $26. Lydia Ko with an epic performance on the first playoff hole in California to win for the first time since 2016. It was Ko's first title since her win at the Marathon Classic in July 2016. Ko took home $320,000 for the win, taking her well over the $12.5m mark in career earnings. This leaves her at 18th in LPGA history, from 125 starts, with plenty more to come. Annika Sorenstam of Sweden is the leader, with nearly $32m won in 303 starts.